This section traces Akio Morita's footsteps to show the kind of life he led. Akio Morita's achievements and successes were recognized both in Japan and abroad. 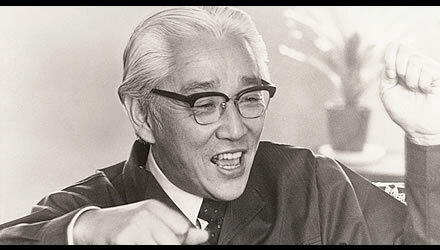 This selection of pictures, carefully chosen from the Akio Morita photo-library, gives a sense of Akio Morita the man.